Harold and Lucille Hargrave's lives have been both joyful and sorrowful in the decades since their only son, Jacob, died tragically at his eighth birthday party in 1966. In their old age they've settled comfortably into life without him, their wounds tempered through the grace of time... Until one day Jacob mysteriously appears on their doorstep—flesh and blood, their sweet, precocious child, still eight years old. Mr. Mott attempts to answer the age-old question "what if you could talk to the deceased one last time" in The Returned. However that one last time lasts quite a bit longer than anyone could ever imagine. Harold and Lucille Hargrave are currently in their seventies and live a peaceful (relatively) life in rural North Carolina. They've been married for more than fifty years and mourning the tragic death of their son for fifty years. Jacob was celebrating his eighth birthday when he died in a tragic drowning accident. He's been buried and mourned for decades. His parents are moving on with their lives until they begin to hear of "the returned." They wonder what their reaction would be if Jacob were to return. Their hypothetical question becomes reality when an agent for the International Bureau of the Returned knocks on their door accompanied by their son, Jacob -- still the same age as when he died, eight. Soon others from their town are returned. As more and more people "return" the government isn't quite sure what to do with them. Before long, the International Bureau of the Returned and the US Government commandeer the town of Arcadia and begin to turn it into a camp for the "returned." Harold refuses to leave his son in the camp alone and he quickly becomes a prisoner of these new internment camps. Regrettably, there are those that aren't happy with the "returned" and see them as demons or devils. These factions begin to picket for the rights of the living vs. the returned and their actions slowly take a violent turn. Mr. Mott presents a unique story and it's presented in such a way that it is impossible to judge the living or returned negatively. People want to know where these returned came from? Why aren't they returning to the place of their death (Jacob returned to China before being relocated back to the US)? And then there's the big question, why have they returned? These questions are left to the reader to answer. The Returned isn't a true science-fiction or paranormal story, but a fantastically told contemporary story that deals with a slightly science-fiction or paranormal element. The "returned" are alive. They eat, drink, sleep, and bleed. This story presents an interesting view on life, death and how far some are willing to go to be with and protect their loved ones. It also raises some intriguing questions about life after death. The "returned" literally and figuratively turn the world upside down for the living. 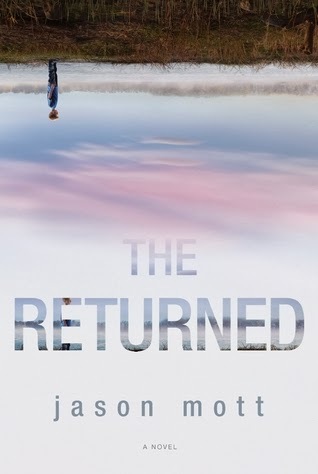 I found The Returned to be an engrossing read that captivated my attention from the very first word to the last. I actually read The Returned and its three prequels (The First, The Sparrow, and The Choice) in one sitting (yes, they are that good!). I found the characters to be very realistic and all-too human with their quirks and idiosyncrasies (loved Harold and Lucille). Although the subject matter may seem to be a bit far-reaching, it made quite an impact on me. Consider I read these more than two months ago and I can still vividly recall the characters, settings and action. If you're looking for a well-written story that presents something a little different then look no further. I look forward to reading more from Mr. Mott in the future. FYI: The Returned has been optioned and is the inspiration for a new television series. The series "Resurrection" is scheduled to air beginning March 2014 on ABC here in the US.